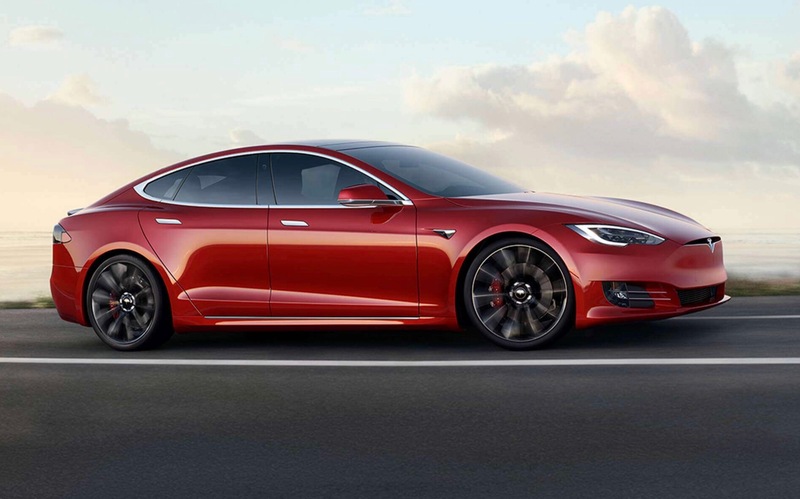 Meet one of the most affordable, and most eye-catching luxury coupes on sale today. The 2012 Range Rover Evoque Dynamic Si4 Coupe is just one variant (the sportiest) of Land Rover’s keenest new model. The latest VFACTS figures show it’s Land Rover’s current bestseller, too. 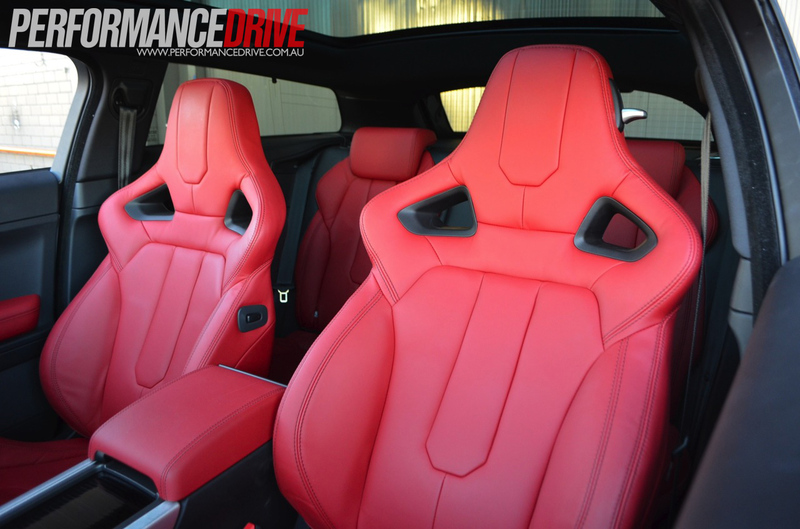 After spending a week lavished in a sea of red Oxford leather, and receiving looks from passersby as if we’d smacked them pink, we can gladly say that it’s as stimulating to drive, as it is to the eye – that goes for on, and off the road. 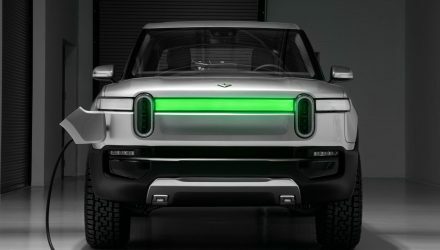 Never have we seen a car that’s built so close to a concept, the concept being the Range Rover LRX. The styling cues of the British-built and designed stunner are in-your-face, but not over-the-top. And that goes for inside and out. 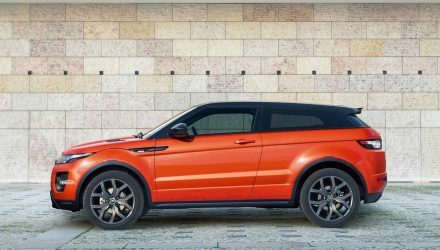 The Evoque is the cheapest model in the Range Rover showroom, but don’t think for a second it’s a poor man’s Range Rover Sport. 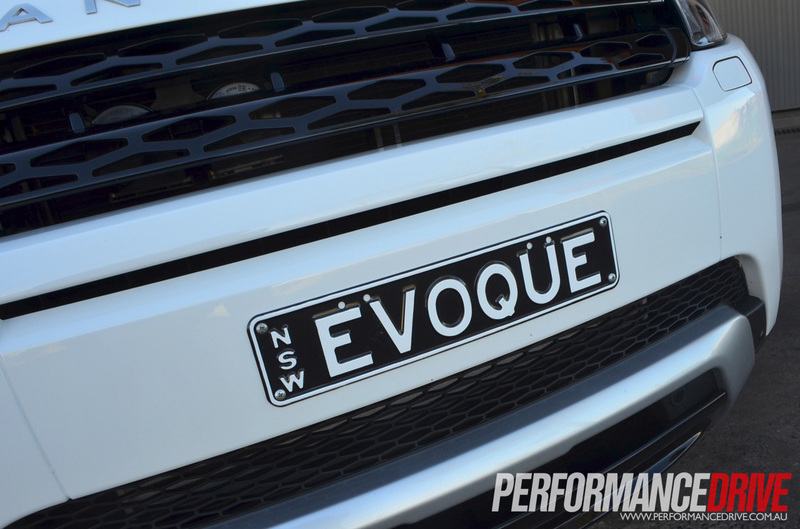 James Scrimshaw from Land Rover Australia informed us that 95 per cent of Evoque buyers are new to the Land Rover brand – no doubt some of these people are jumping ship from vehicles such as the BMW X3, Audi Q5, and Mini Countryman. Even Audi S3 to an extent, given the Evoque Coupe Si4 is an all-paw turbo performer. 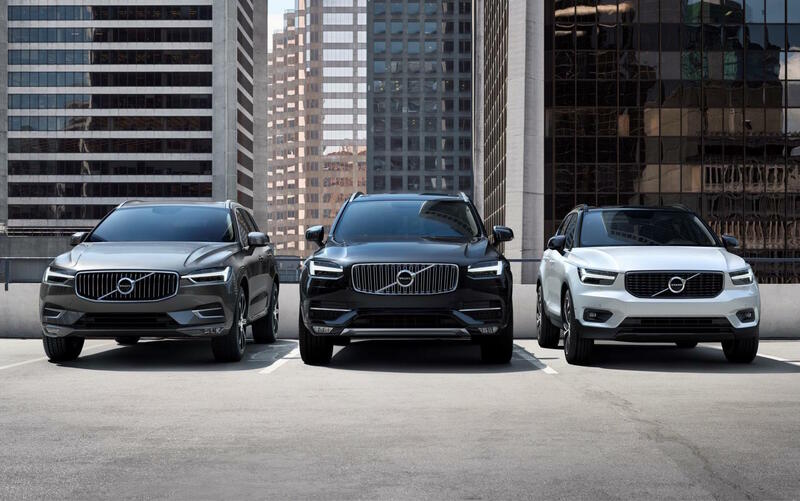 Based on looks alone, we can understand why many are flocking to it. 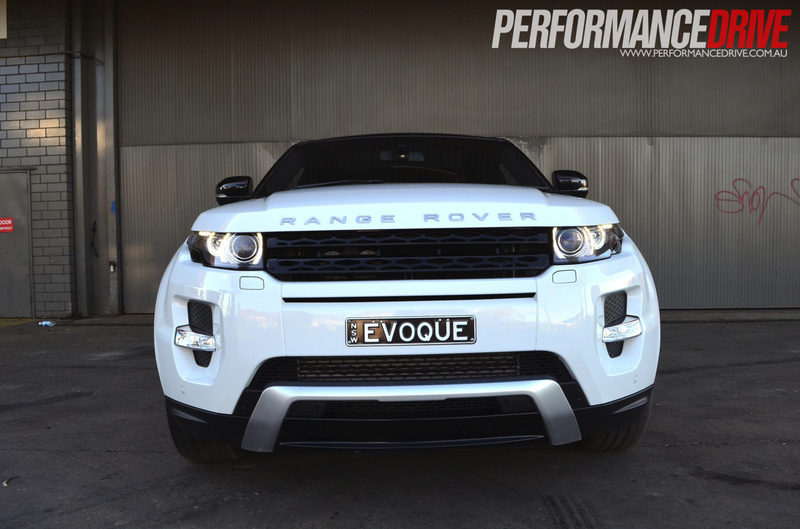 The stylish Evoque comes in three variants; Pure (entry level); Prestige (luxury focused); and Dynamic (for those who like the sporty touch), and are available in both three, and five-door layout. 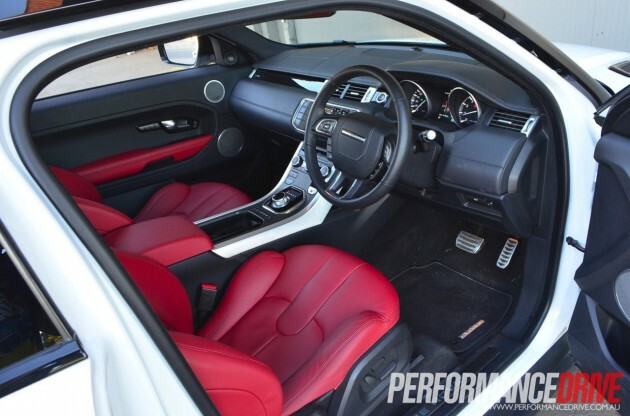 Prices start at $53,395, and top out at $77,395 – it is indeed cheap considering it’s a Range Rover. However, this is without any of the optional extras. There are two engines to choose from. The most fuel-efficient of the two is the 2.2-litre diesel, whilst the sportier is the 2.0-litre turbo petrol engine, with the latter unit being the same engine found in the new EcoBoost Falcon. 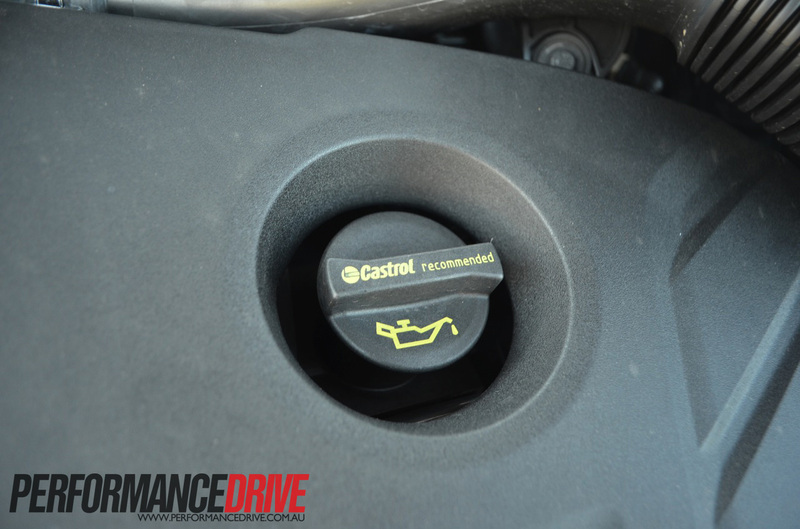 Entry-level diesels are mated with a six-speed manual as standard, while there is a six-speed auto on offer for an extra $2480. The Si4 2.0-litre petrol turbo variants are available in six-speed auto only, as are the Prestige models. 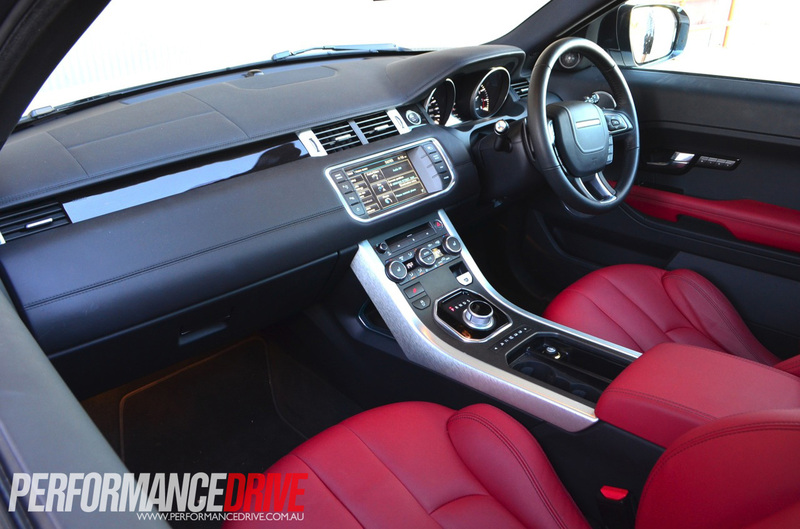 The Evoque is treated to a cabin that is not only elegant to look at, but easy to navigate thanks to an intelligent layout. 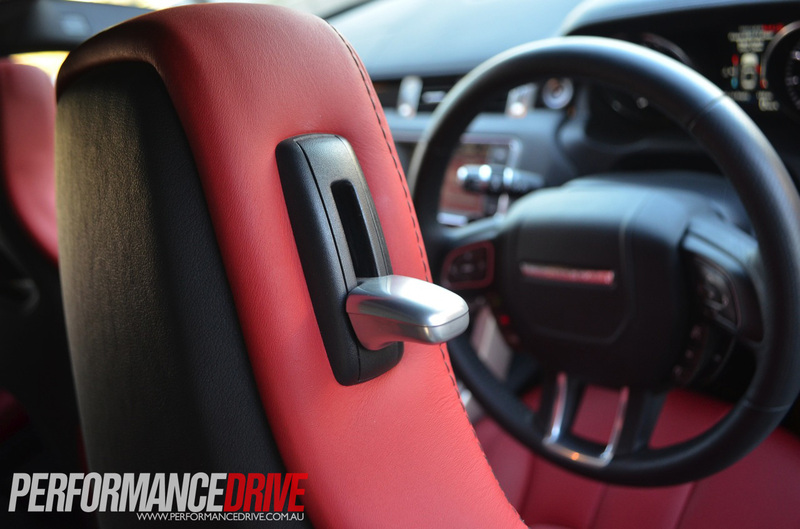 The moment you place your foot on the brake and hit the start button, you’re welcomed with Range Rover insignia on the touchscreen, and an emerging Jaguar-esque rotary gear selector rising up from the centre console. These make the Evoque feel every bit important as its more expensive siblings. 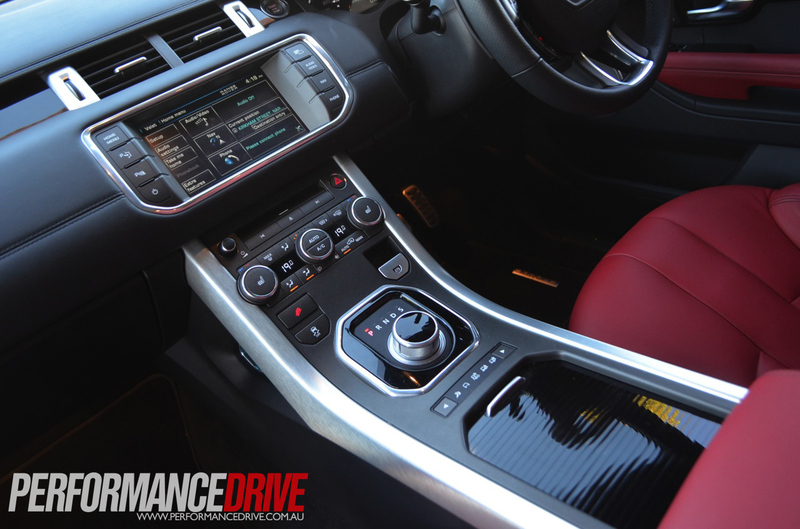 The Evoque Dynamic is more Vogue-like than cheapest-model-in-the-lineup; the soft leather-clad dash, brushed aluminium centre console surroundings, and gloss-black touches certainly look the goods. As does the colour-changeable ambient lighting. 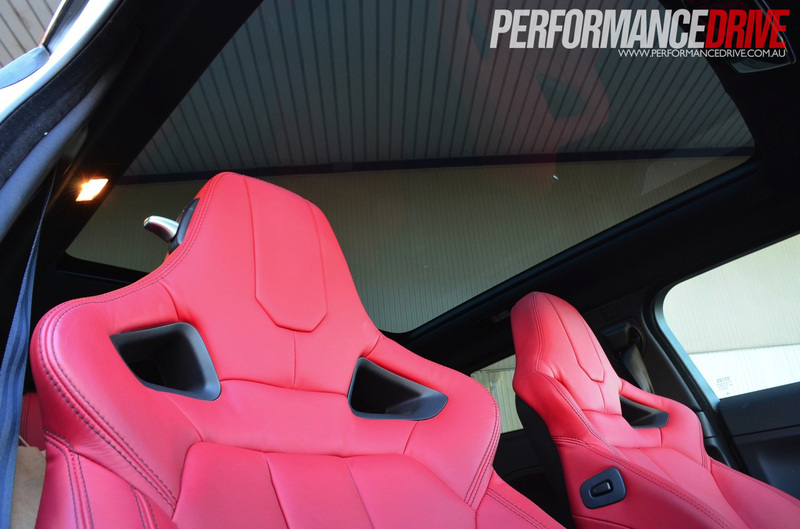 The focal point of our test model’s cabin is by far its supercar-like fully-electric, eight-way adjustable with memory function, heated front sports seats. While they are hip-hugging, extremely comfortable, and easy on the eye, we didn’t find them overly beneficial to the already super-comfy regular Evoque seats. 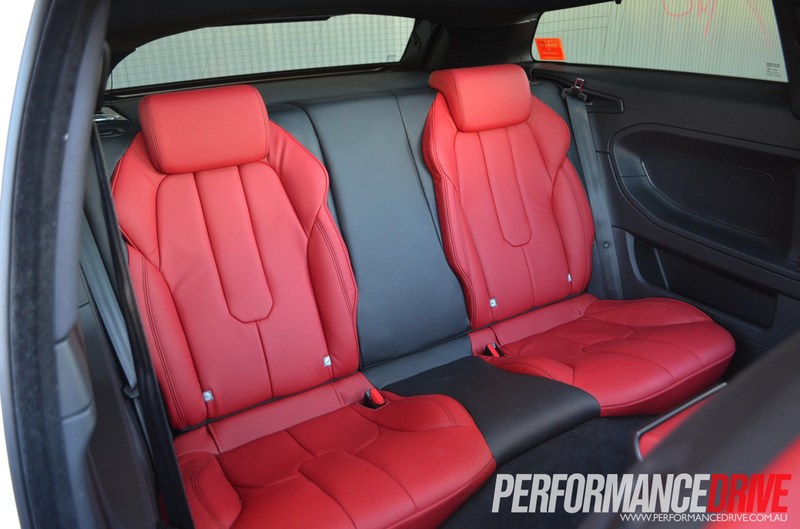 The sports seats are part of the optional $7200 Dynamic Plus Pack. Also part of the pack is the Ebony headliner, brushed aluminium console surroundings, and extremely soft Oxford leather that covers the front and rear seats. The pack is available in two colours; Agility (Red), or Velocity (Ebony). This pack is available on Dynamic models only. 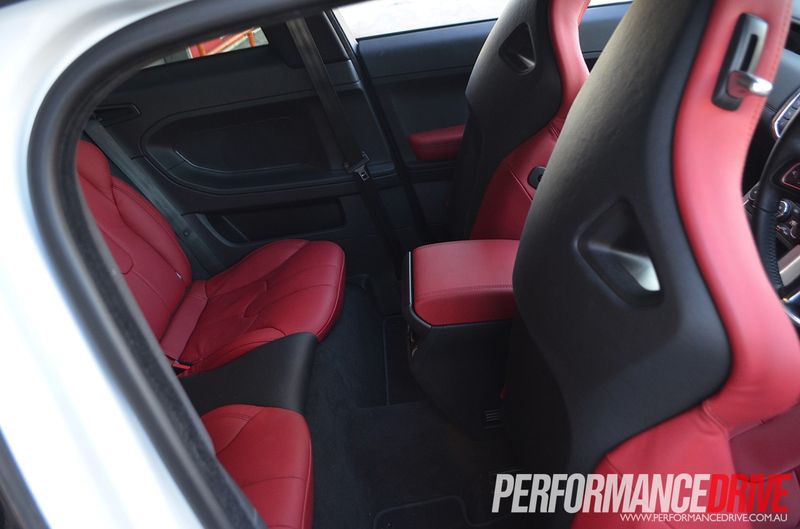 The sporty seats deny the fitment of optional rear seat TV screens, and also feel a bit large and slow to move when people need to jump in the back. 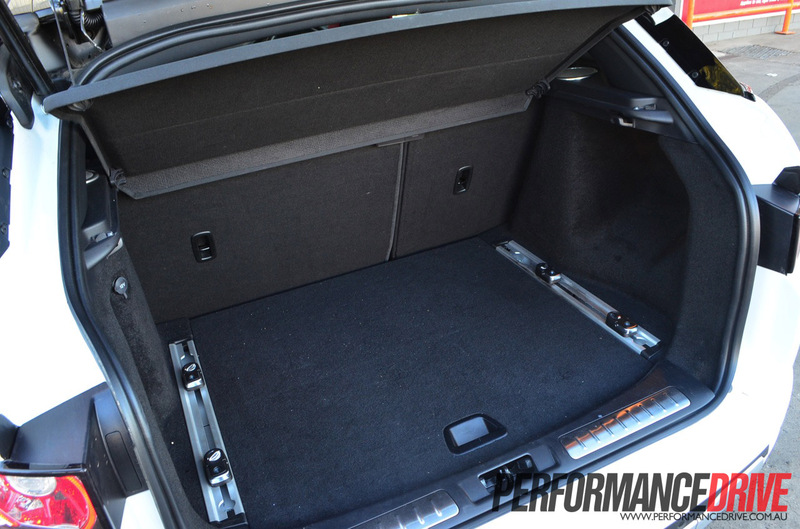 Though the roof looks ‘chopped’, there is still a decent amount of head, and shoulder room in the front and back. In the back there is two individual seats (a three-seat bench is also available), offering lumbar support, and more than enough legroom. 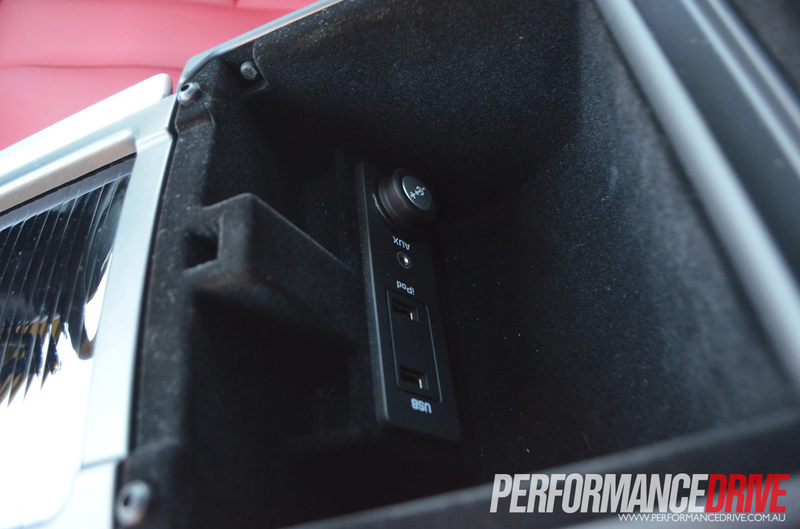 While the list of extras that come with $5900 Dynamic Tech Pack pack is lengthy, the standouts are the easy-to-use 3D navigation system with built-in hard drive; say what you see voice control – so you don’t need to take your hands off the wheel; one-push power tailgate – making things easy when your hands are full; and rear-view camera – always a must with SUVs, especially if you have little ones. 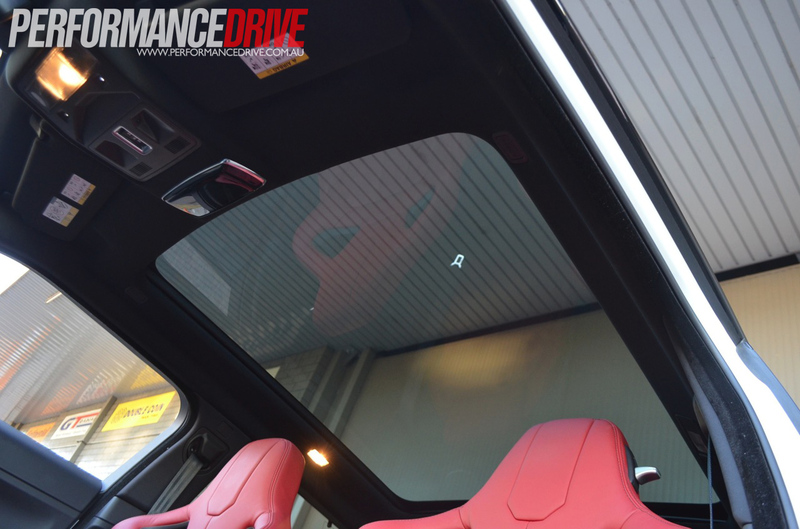 The $1035 optional one-touch open/close Panoramic Roof is an absolute must for every Evoque Coupe. While it doesn’t open to let the wind blow in your hair, it does stream the length of the roof, letting some much-needed sunlight into the narrow-windowed cabin. 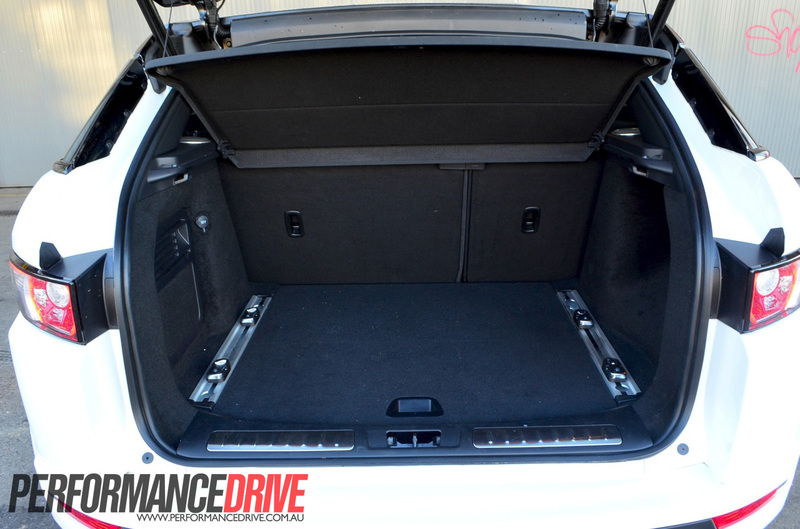 There’s plenty of room for luggage in the Coupe, with 1350-litres of boot space available with the rear seats forward, and 550-litres in the normal upright position. If you’re into loud music, the 825w USB/iPod-compatible Meridian 16-speaker with subwoofer sound system (as tested) is something of a masterpiece. 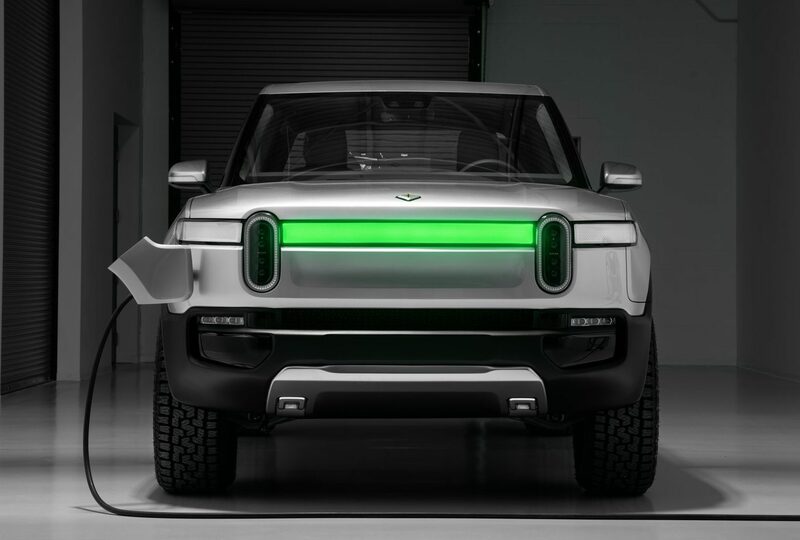 We’re told this is the result of the audio not being an afterthought, but rather something Meridan collaborated with Land Rover to get bang on. Whether you like Metallica or Nicki Minaj, the volume level is worth having loud. 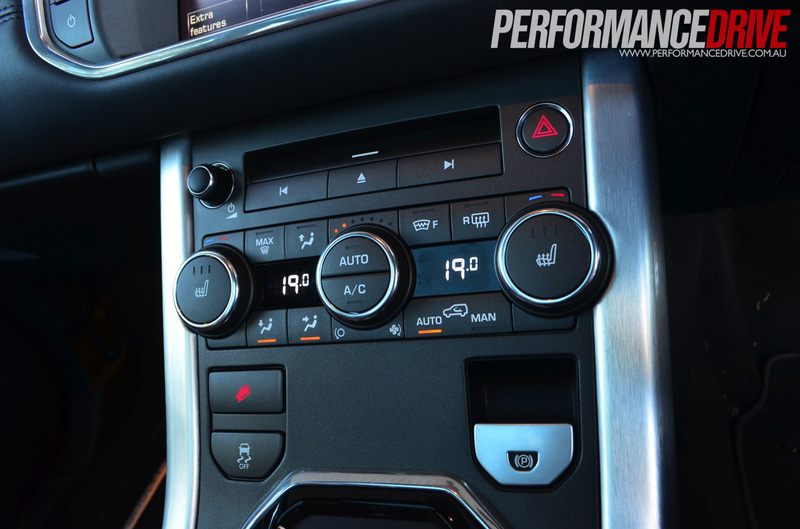 At the centre of the Evoque’s dash is the eight-inch touch screen display. 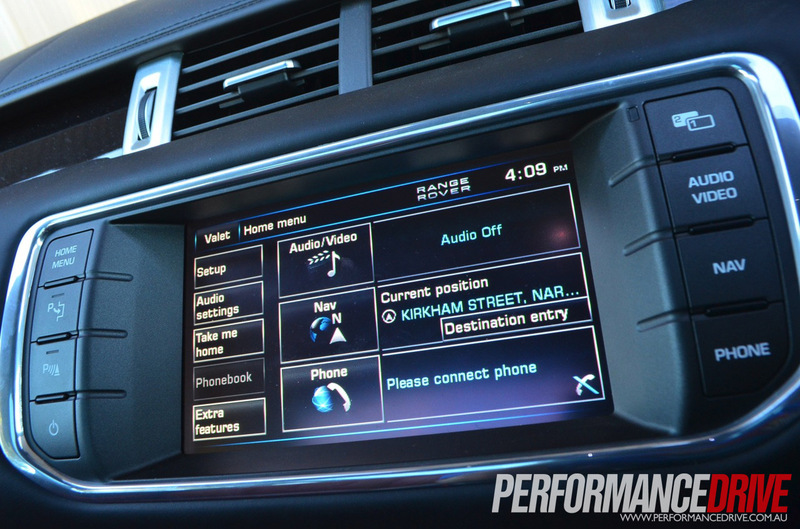 It handles everything from the audio settings and music, navigation, phone and Bluetooth options. 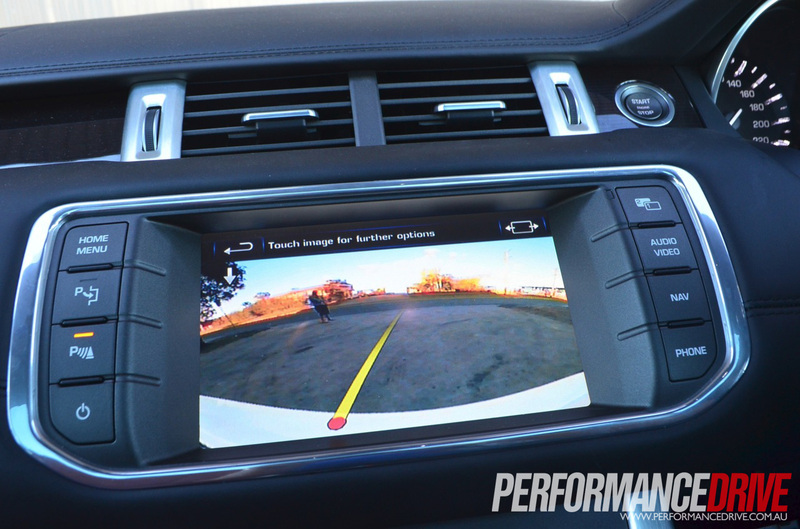 It also displays the multi-view rear, side, and front view external cameras, and other functions such as ambient lighting adjustments. Another suave little instrument is the five-inch TFT Colour Driver Information Display found between the two major instrument dials. It provides key information, including outside temperature, remaining fuel, current gear position, what Terrain Response mode you’re in (more about this function in OFF THE ROAD below), hill descent status and cruise control status. It also displays minor audio details and trip computer info. 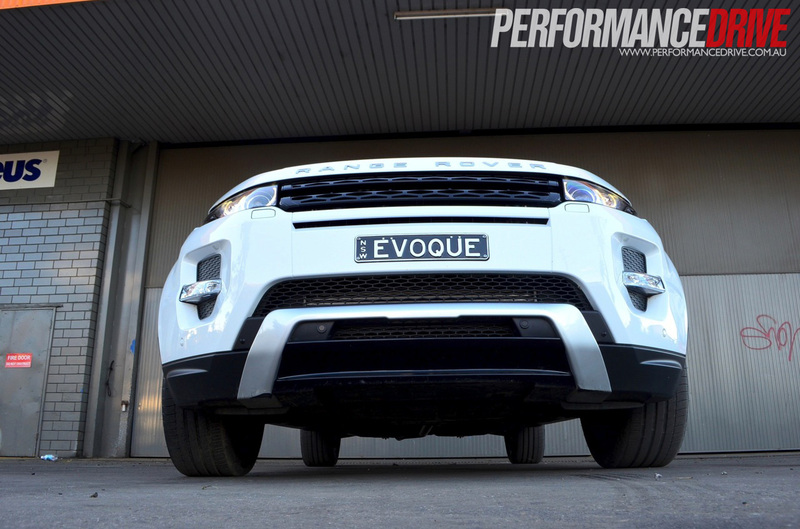 The Evoque is built on the same platform as the Freelander 2 (a steel monocoque design) but it is said to be leaps and bounds ahead of it in terms of its off, and on road dynamics. 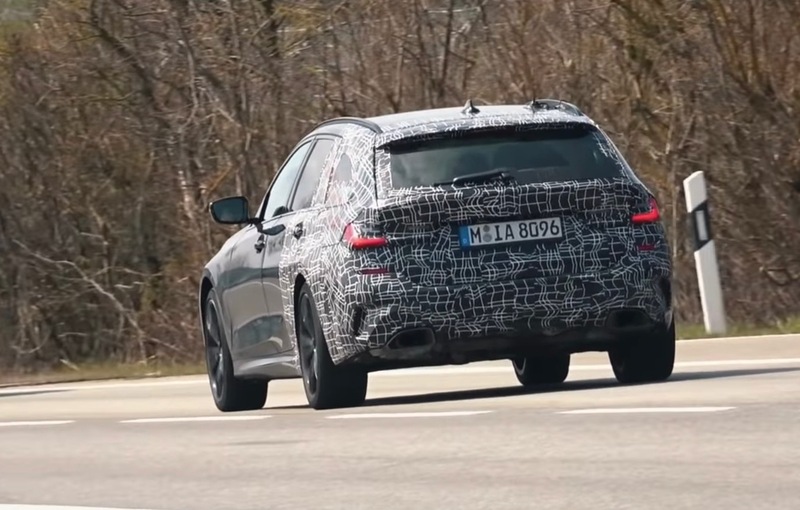 Safety devices such as: Dynamic Stability Control (DSC), Electronic Traction Control (ETC), Hill Descent Control (HDC), Gradient Release Control (GRC), Hill Hold, and probably the most important safety measure in an SUV, Roll Stability Control (RSC). 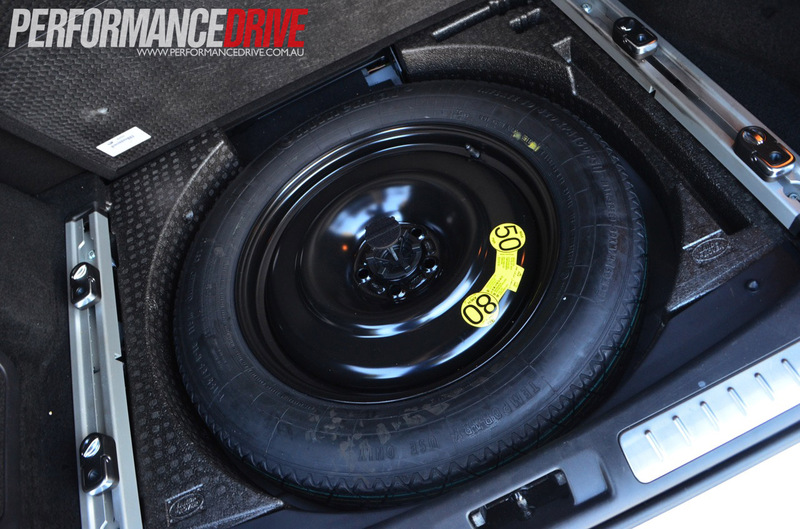 This detects the onset of a roll-over before it happens, and adjusts individual wheel braking to counter the possibility of tipping. 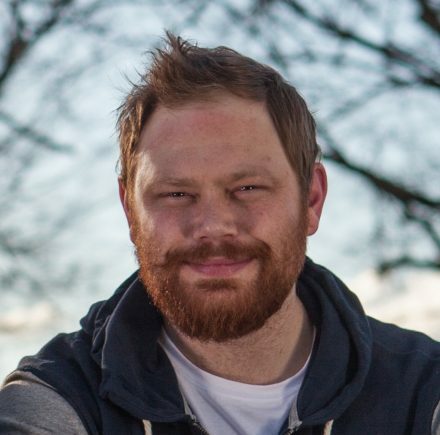 We used an open area to try and upset the Evoque’s stability, but each time we’d swerve and pull at the wheel, rigorously changing direction, we were gracefully greeted with a mixture of safety devices. Not so intrusive that they spoil the fun of driving such a dynamic car, but enough to keep you headed in right direction. 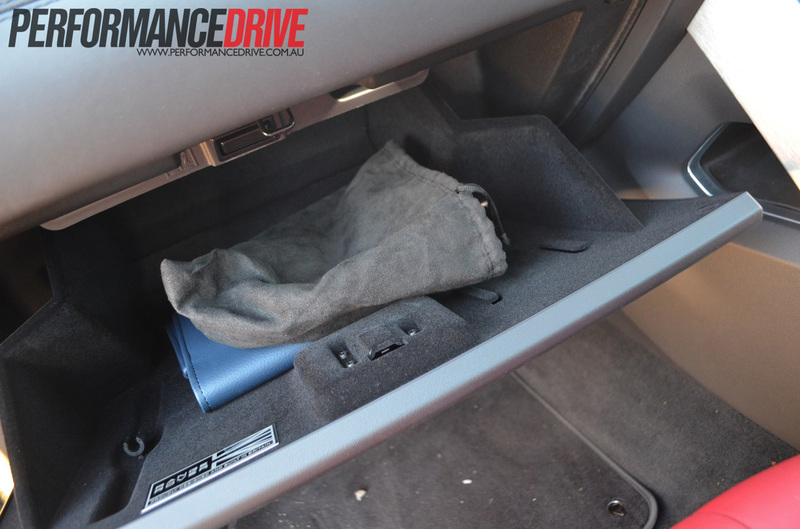 No less than seven airbags are used throughout the cabin, this includes knee airbag for the driver, full-length curtain airbags, thorax airbags, and driver and passenger frontal airbags. 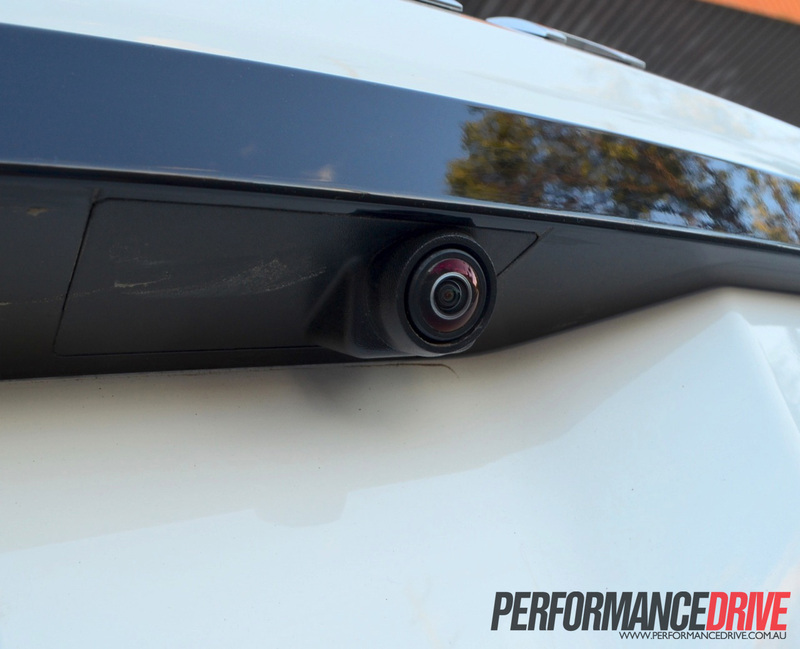 Rain-sensing wipers, adaptive headlights ($635), automatic high beam assist ($335), park assist – able to manoeuvre the Evoque into parking spaces 1.2 times its own length ($1090), and five external camera images to help determine your surroundings, all help to make the sometimes arduous task of commuting much easier. 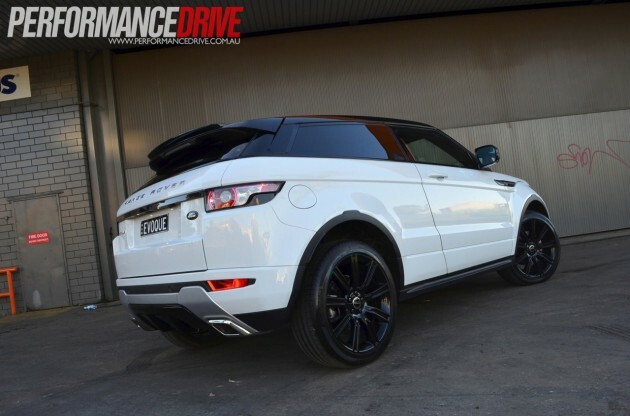 The shape of the Evoque is something to admire. 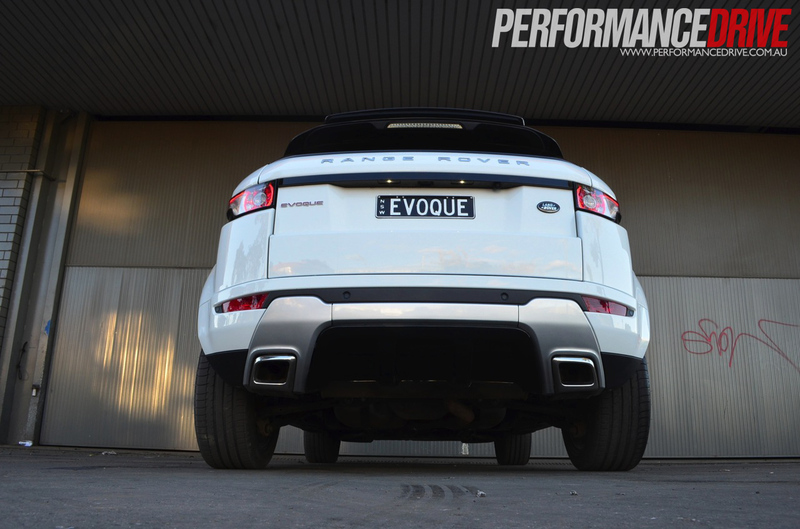 In pictures, the Evoque Coupe looks monumental and extensive. If you stand at the back corner however, it’s actually more petite than it seems, with the rear of the roof sitting quite low for an SUV. 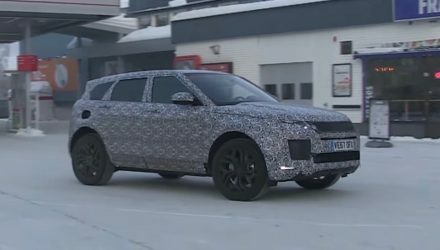 The seriously raked windscreen, high waist and low roofline make the Evoque look extremely sinister as it scoots down the road. 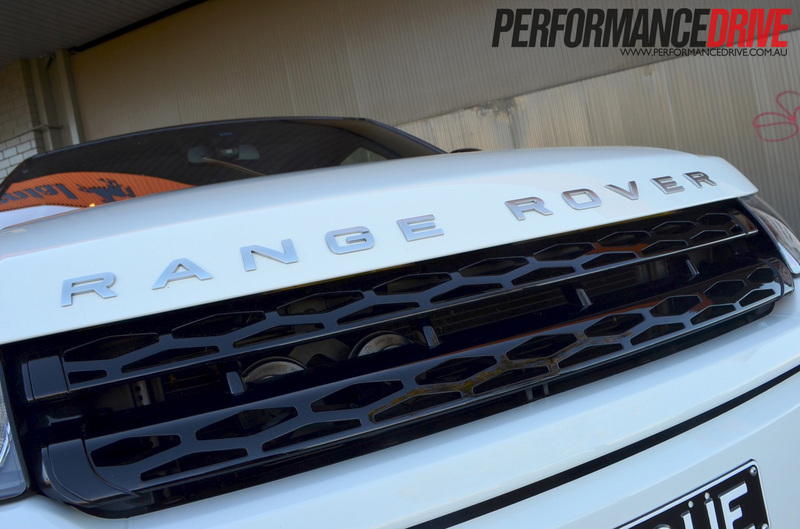 Aggressive front styling and signature Range Rover insignia on the bonnet commands respect from other motorists, as does the imposing 20-inch gloss black wheels ($4800). The headlamps on this Dynamic model are Xenon items with headlamp wash function. 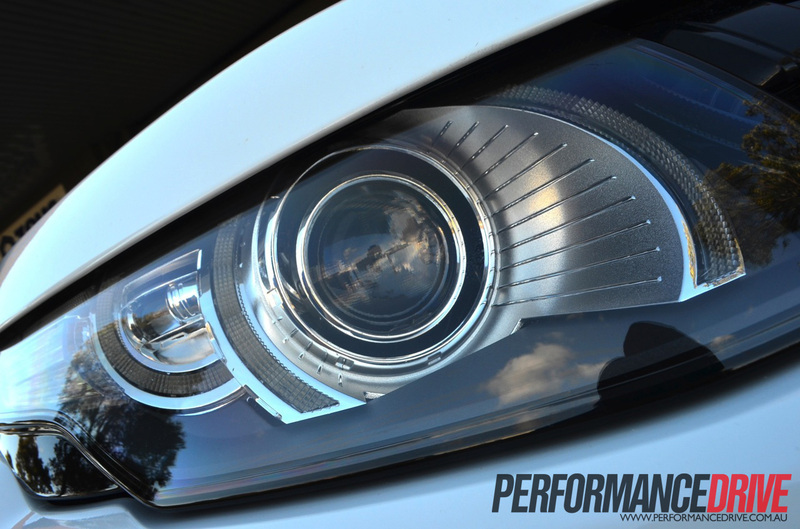 This test Coupe also gets adaptive headlamps ($635) that adjust to the roads ahead and automatically turn high beam on and off depending on oncoming traffic. 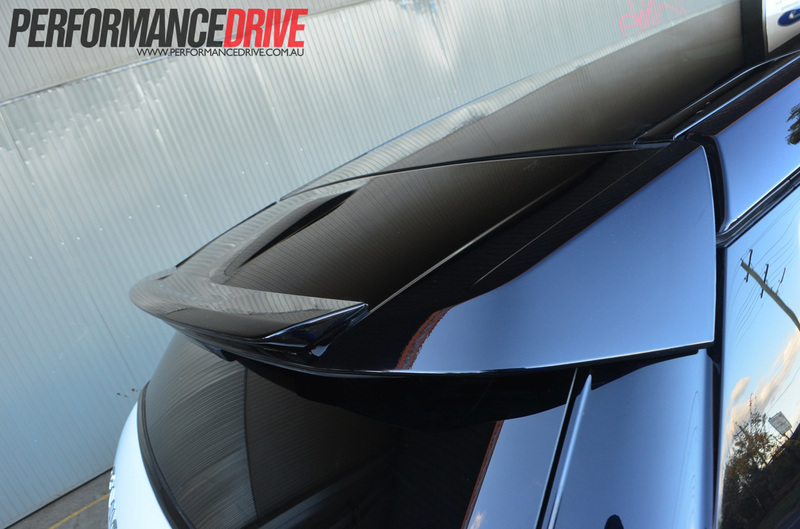 We tried to outsmart the system for glitches, but the Evoque got it right 99 per cent of the time (sign reflections can trigger them off). Front fog lamps are standard, and prove mighty handy when things get really dark and misty. 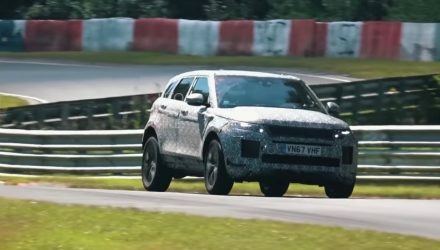 Given most people who buy an Evoque might just do so on aesthetics alone, it’s a good thing Land Rover have come up with an SUV that when push comes to shove, can handle and accelerate like a proper road-going sports car. The fact it’s quite capable off-road as well will keep Land Rover diehards happy. Under the bonnet of Si4 is a lively 177kW 2.0-litre turbo four pot. 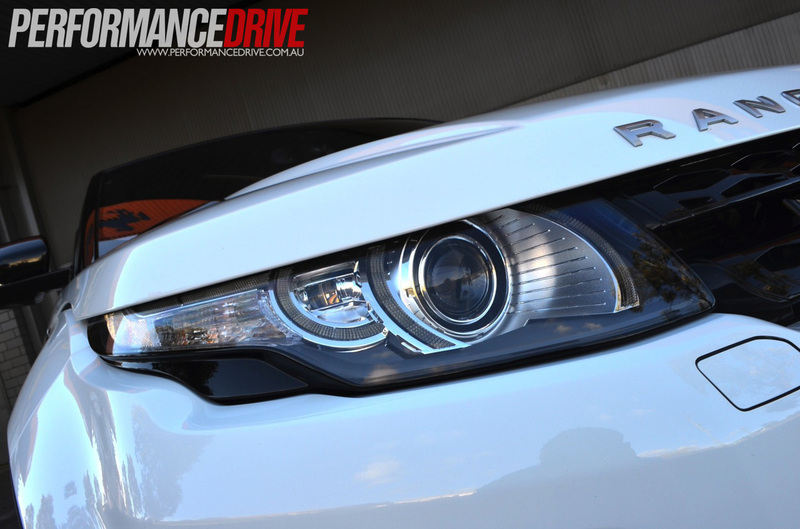 It’s very keen to rev and perform when you want it to, and happy to use its available torque to quietly cruise along. 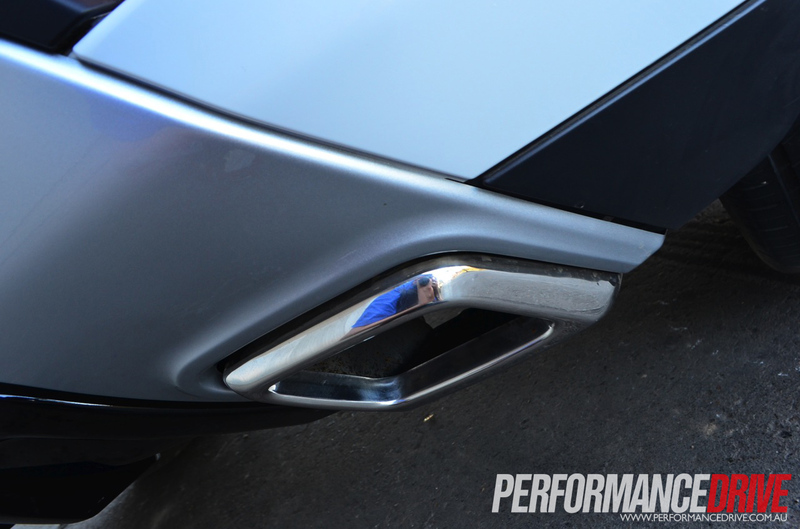 Turbo lag is minimal from down low in the revs, with boost coming on seamlessly. 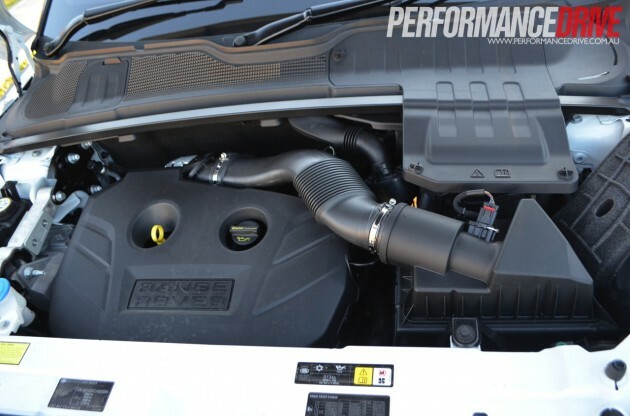 While the engine note won’t exactly get the blood pumping, it never really sounds like it’s straining; it gives off a buzzing four-cylinder sound with a slight hint of turbo whistle. 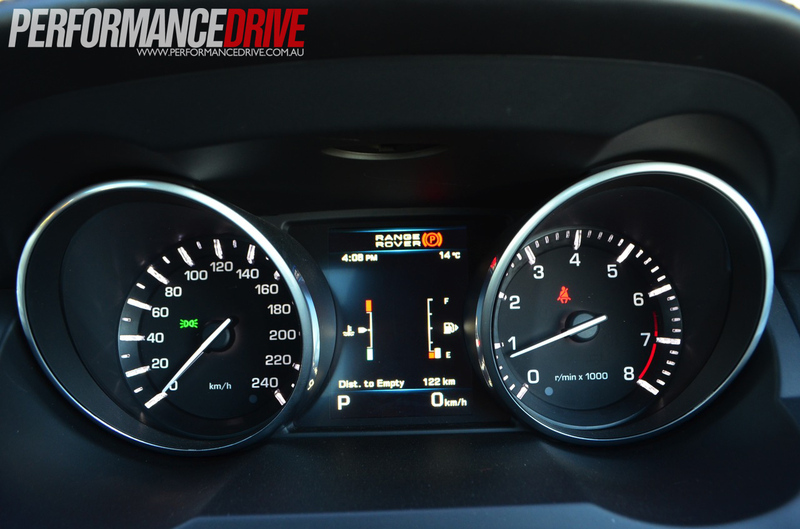 The six-speed gearbox meshes well with the 2.0-litre engine to create a sporty, engaging drive. 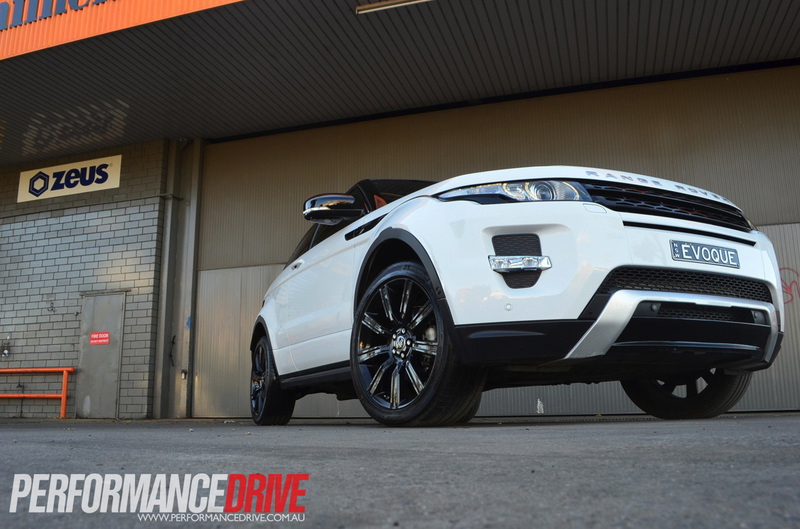 From a standstill the Evoque does think for a second before launching, but once it’s off, it sifts through gears swiftly. We timed 0-100km/h in 7.7 seconds. 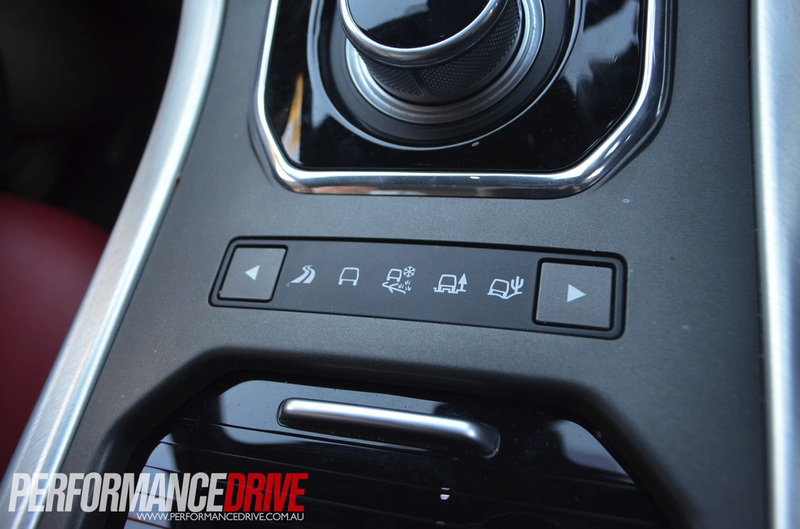 You can opt to upshift and downshift via the paddles on the steering wheel if you’re in a ‘manual’ kind of mood. You can also push and twist the rotary gear button down and to the right, selecting ‘Sport mode’, here it will hold gears longer and behave in a more sporty manner. 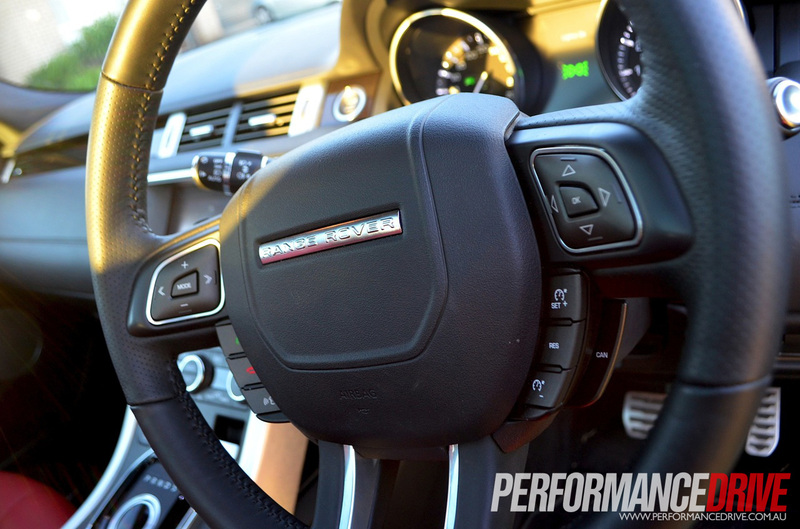 From the driver’s seat, you get a good feel of the road through the steering wheel. 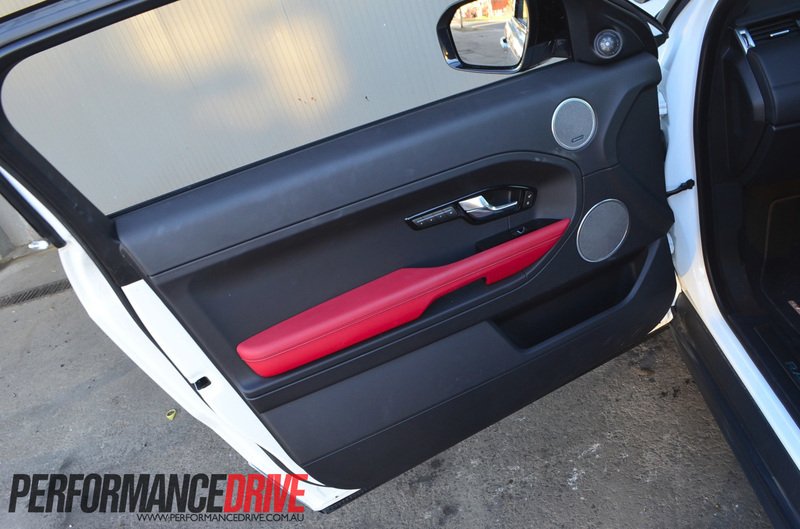 Body roll is to be expected with most crossover/SUVs, but it’s kept to a minimum in the Evoque Coupe. 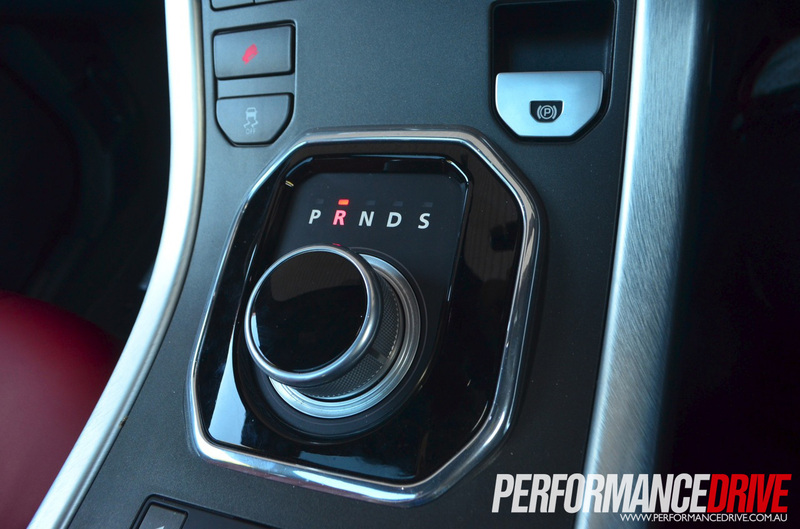 Turn in is sharp via the electric power-assisted/speed-sensitive steering rack, with very little play off centre. 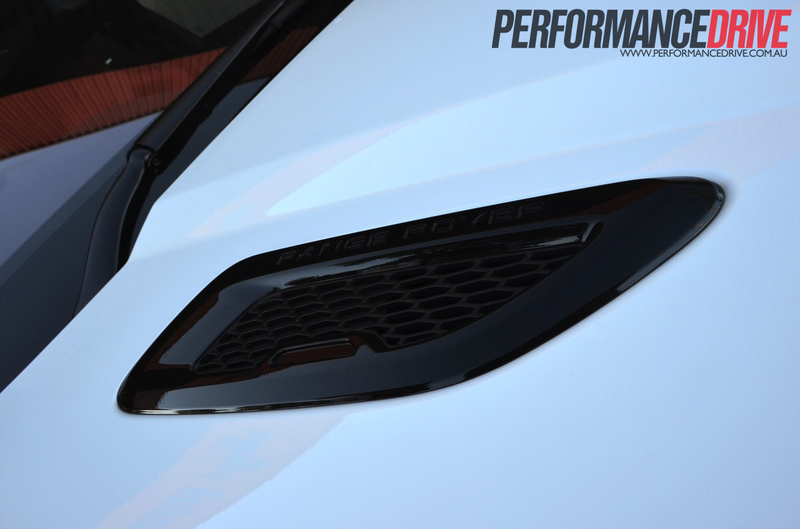 The steering loads up in the bends like a sports car should, helping you to carry higher speeds confidently as the corner progresses. 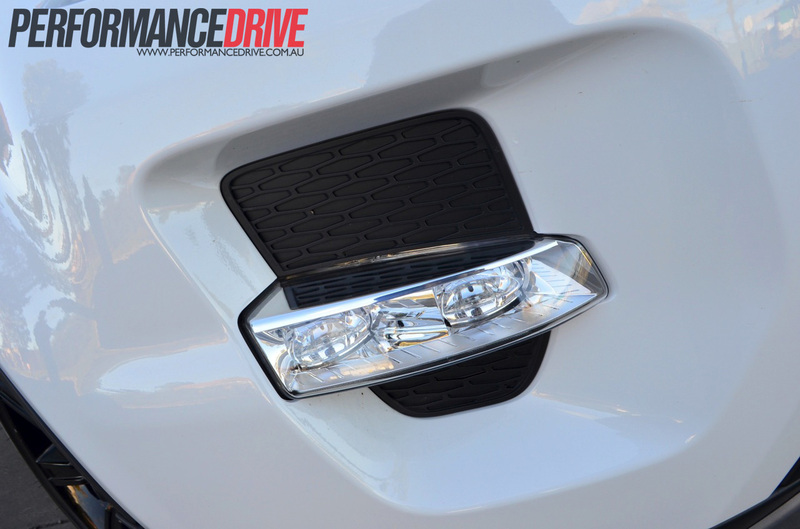 Our test vehicle is fitted with the optional Adaptive Dynamics ($1950). It’s a must. The system is engaged via a ‘Terrain Response’ button. 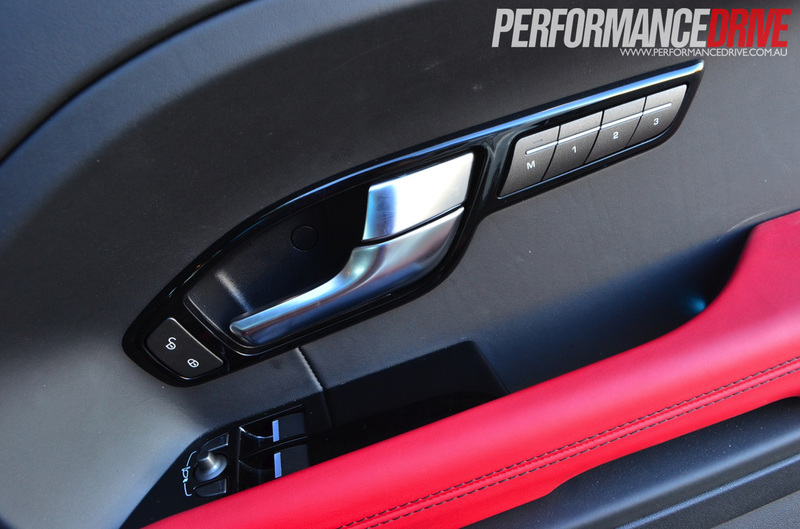 When pushed, the dash lights turn red, instantly resulting in sharpened handling dynamics. 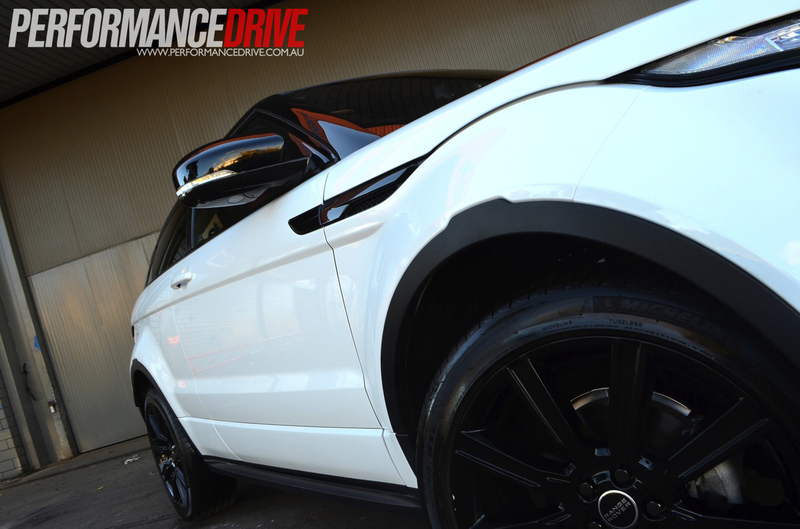 The mode distinguishes the road surface and your driving style, then adjusts the advanced ‘MagneRide’ (using magnets to adjust damper settings) to help the Evoque sit flat, and poised. 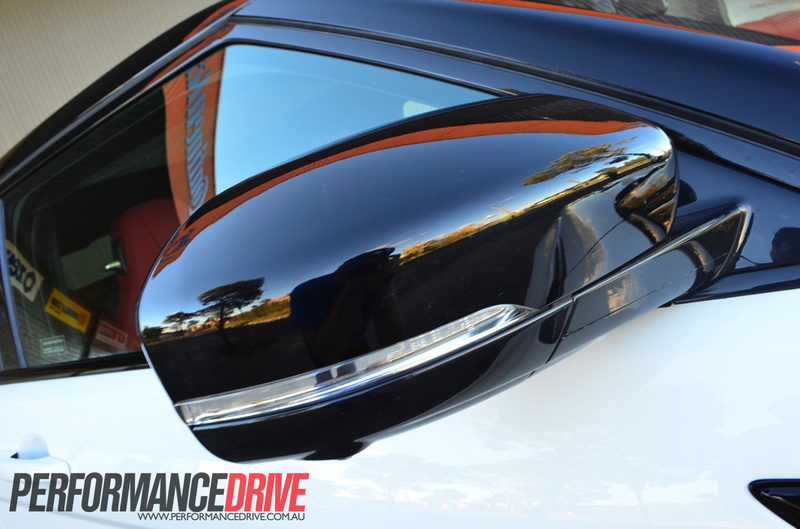 And believe us, it really makes a difference, especially with the available wheel travel. 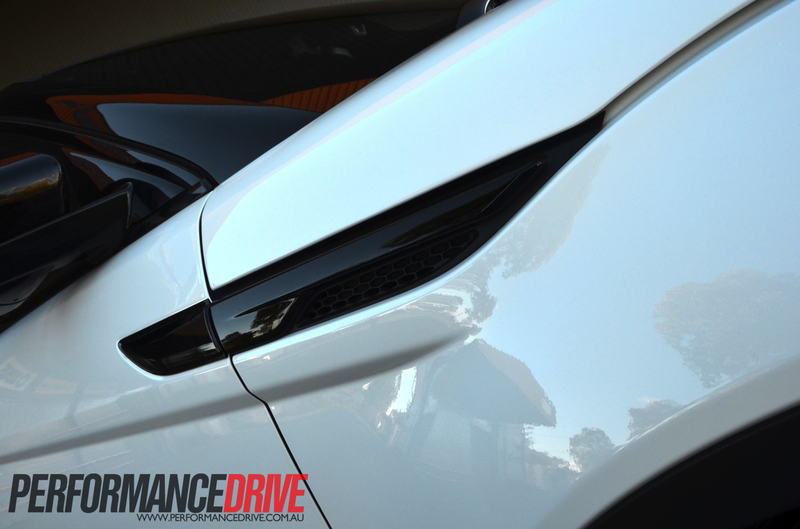 The same technology is used in the latest E3 HSV GTS, various Audis, and the Ferrari 599 Fiorano… not bad bragging rights at the pub, eh. During our week with the car, we pushed it through its paces. It soaked up bend after bend, proving to be quite an exciting drive. 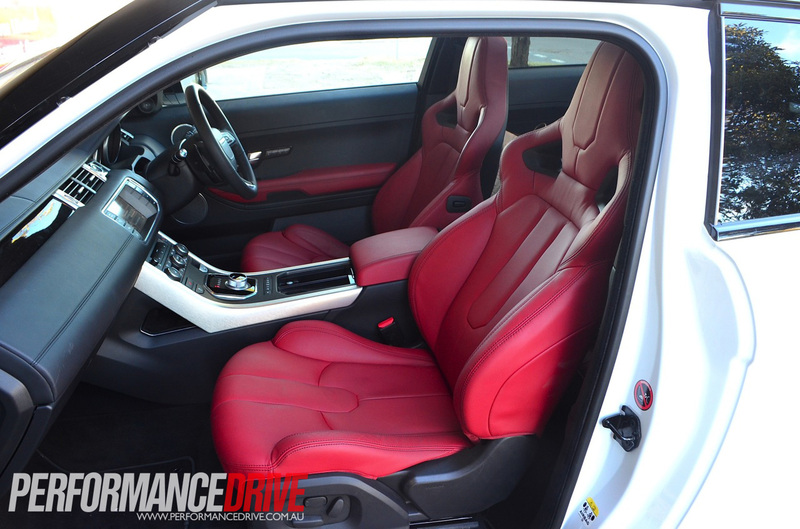 In the back of your head you know an STI or Lancer Evolution would whip it into oblivion, however, you can’t help but think how impressive it is for such a block-of-a-thing. It’s like watching South Sydney Rabbitohs’ Dave Taylor make a line break, then stepping a slender fullback to score a try. Just marvelous. The brakes on the Dynamic model are well up to the task of staying parallel to the levels of performance on offer from its handling. After a good 20 minutes of reaching for the pedal with Adaptive Dynamics switched on, we did notice a small change in the overall bite, but it didn’t get any worse from that point. 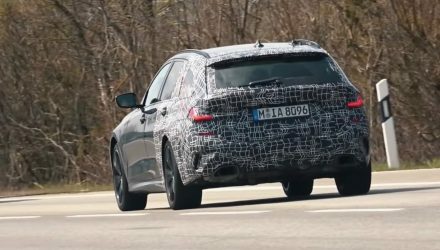 Maybe when the recently speculated ‘Evoque Sport’ rears its head we’ll see the use of Brembos, or other marque braking systems. With all of the options available, one would think a premium brake setup might have been listed? Visually, you’re aware of how much car you’re steering thanks to great forward vision, though, rearward vision is pretty much zip thanks to its high hips and small rear window. 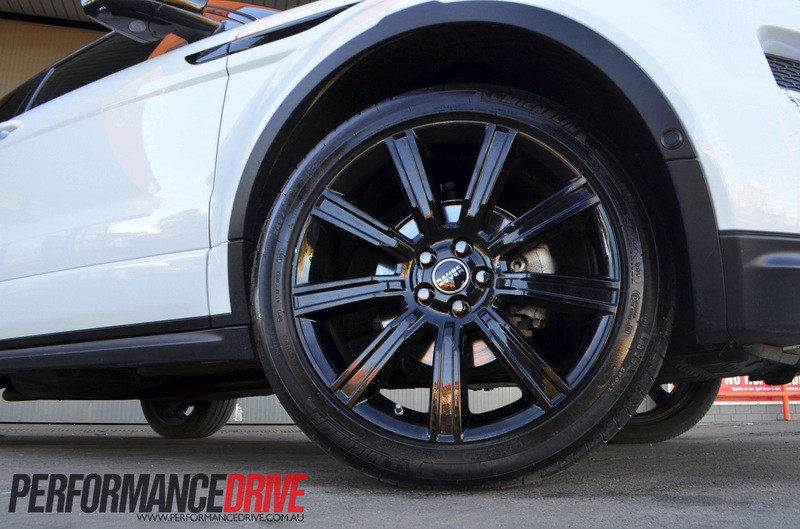 All Evoques use the very latest Haldex AWD system. While the road-orientated tyres fitted to the optional 20-inch wheels aren’t the best choice for tackling rough terrain, the drivetrain smarts ultimately take over and get you through. 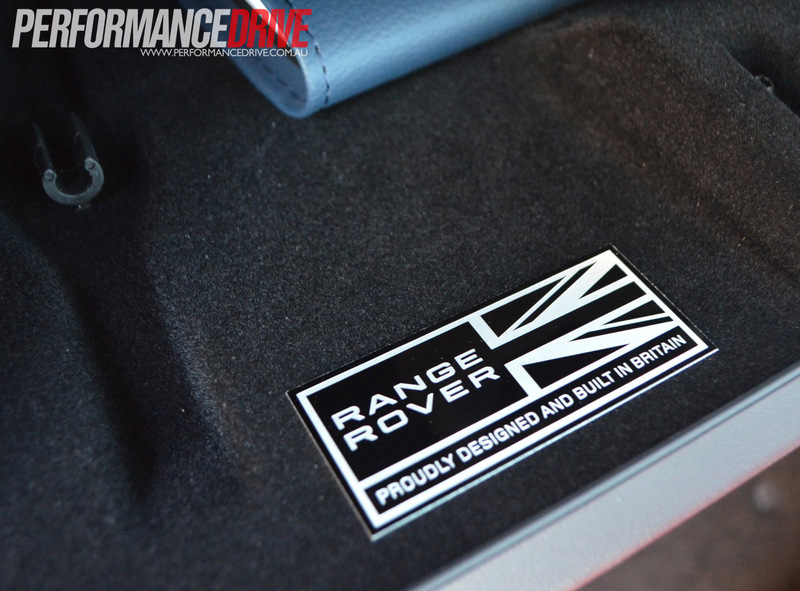 The Evoque features independent suspension all round, and comes with a Land Rover device called ‘Terrain Response’. 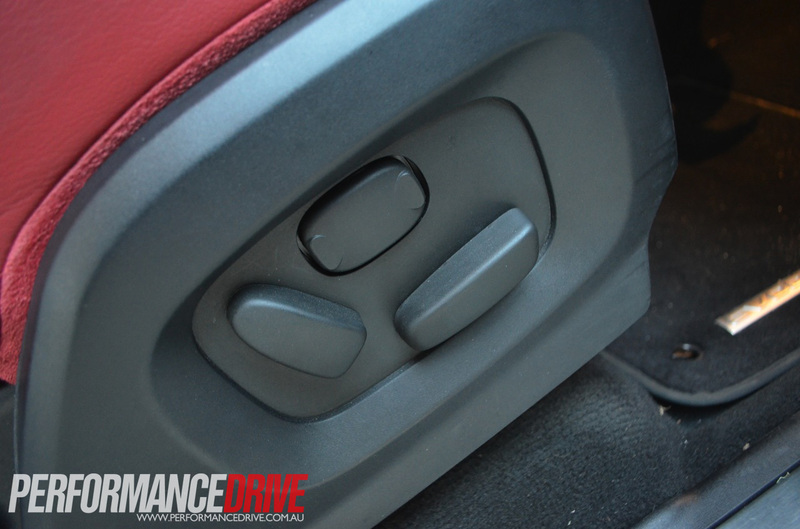 It allows the driver to select between mud, sand, and snow modes. 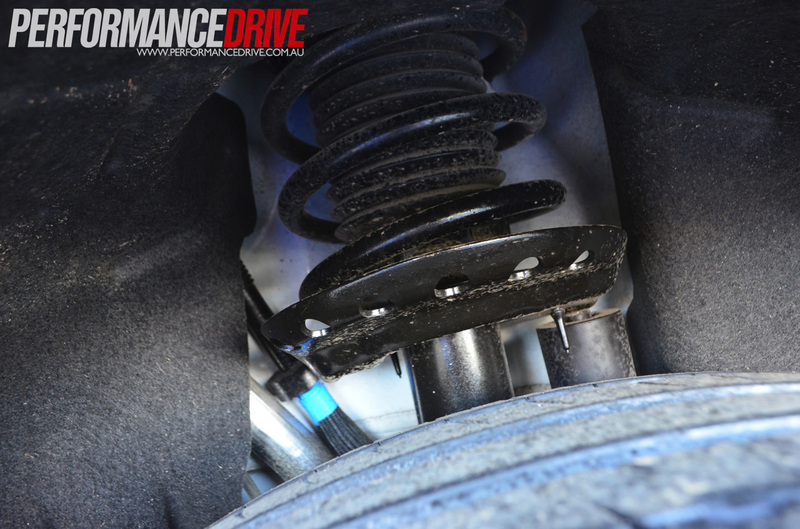 Once a condition is set, the system optimises the powertrain and suspension to suit, adjusting drive by calculating inputs such as wheel direction, slippage, and wheel speed. When using the system on a variety of surfaces, we noticed extra grip on sandy surfaces when using the ‘sand’ mode for instance. It was able to negotiate the loose surface well. We hit a steep rocky hill in our attempt to climb to a lookout, and the off-road mechanicals pulled us up with ease. 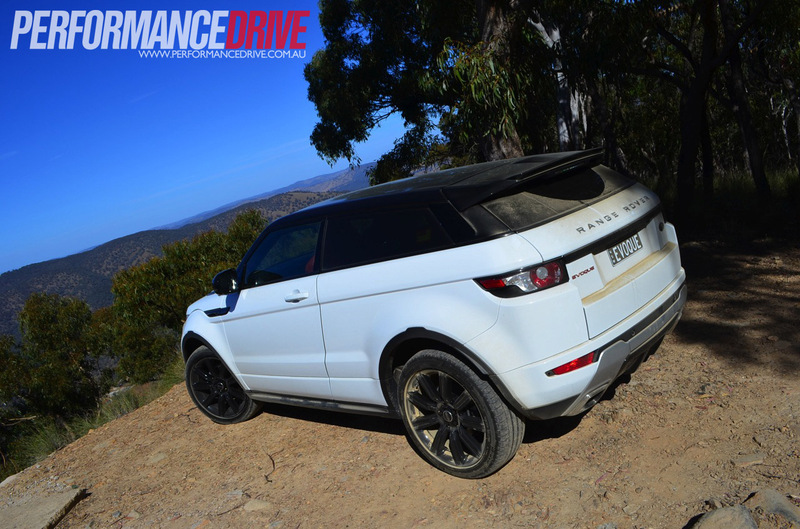 Thanks to the front axle clearance of 215mm, and rear axle clearance of 240mm, the Evoque is also surprisingly tactile, and is able to clamber over rocks and mud ruts like a true off-roader. 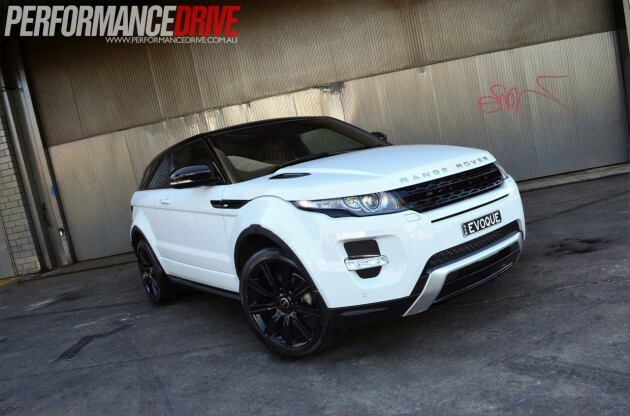 In a sea of plastic pretend off-roaders, the Evoque Coupe Dynamic Si4 delivers all of the Land Rover status quos. It’s a usable 4×4 that not only looks slick in the city, it can also engage in some pretty decent off-roading. 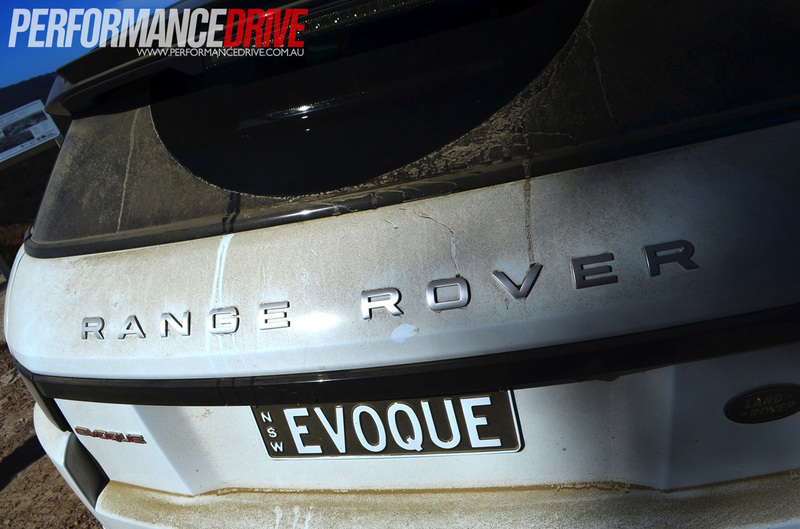 The recommended retail price of the 2012 Range Rover Evoque we’ve tested in this review is $73,895 and as we stated, it was kitted out with $32,480 worth of extras. 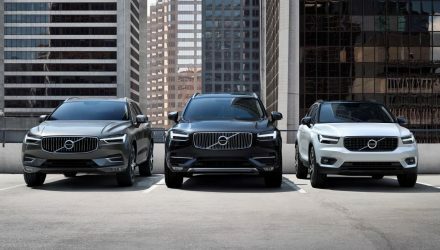 While some of these things are important, and add to the overall luxury SUV experience, you really don’t need to spend too much to dazzle things up; it’s a very well-equipped vehicle as is. 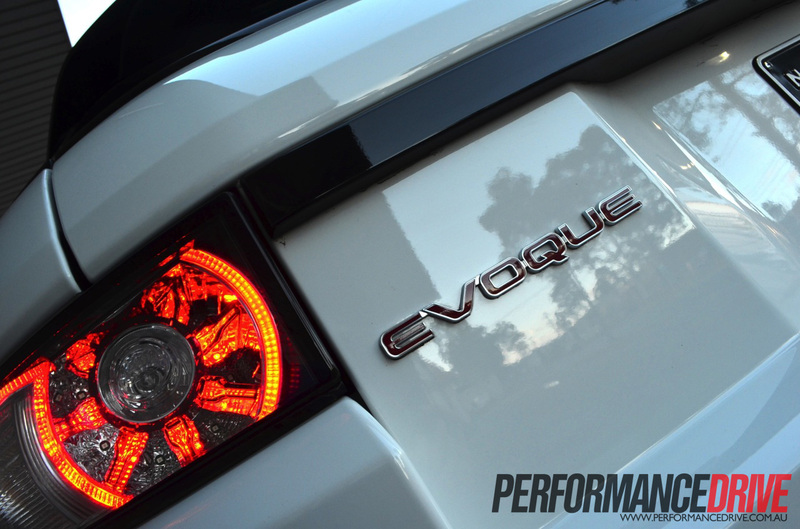 There’s something noble about scooting around in an Evoque. While you’re quite aware it isn’t a Vogue, or a Sport, you get the feeling it isn’t trying to be either. It’s a lighter, more youthful, and more affordable package. 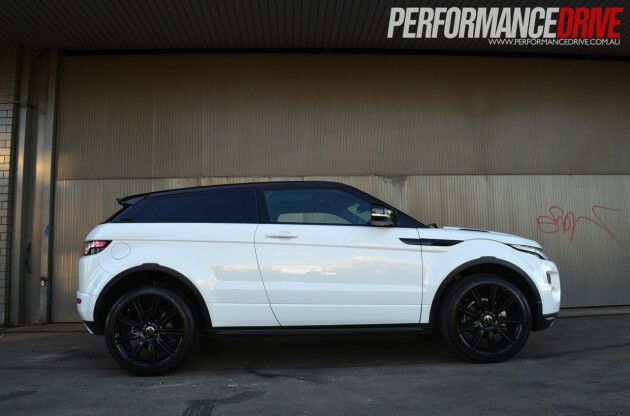 No doubt a serious rival to the Evoque, probably moreso the four-door version. The German-built compact SUV does its job very sufficiently, and in elegant style. BMW’s X3 is a well-built vehicle, and capable off-roader. 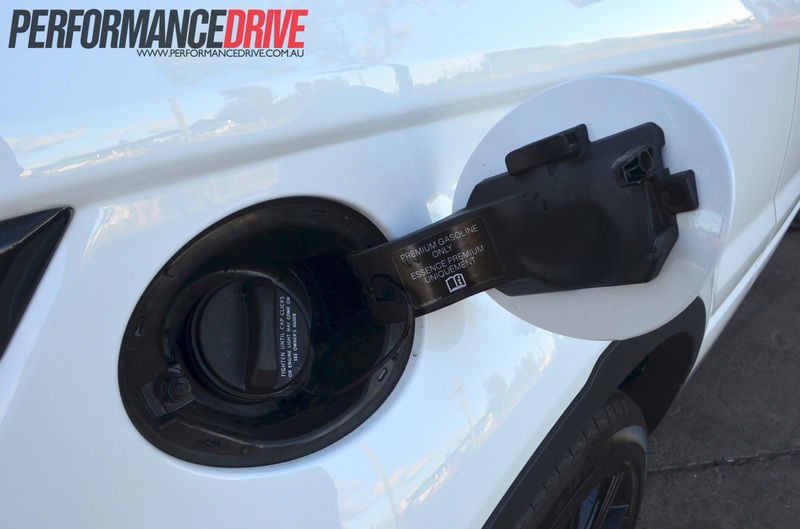 Its driveline outfits are some one of the best in class, especially the new 180kW X3 xDrive28i – great performance, and exceptional fuel efficiency. They offer dynamic handling, with just as much character as the Cooper. The Countyrman is a capable family car for Mini lovers at heart. Or, for those who just want space, some extra ride height, with plenty of quirkiness.